I am in the metro for work related activities for a couple of days. Tonight as I was leave the office it was raining like there was no tomorrow. While eating dinner the rain got crazy intense. I am not sure how much rain we actually got back at home... 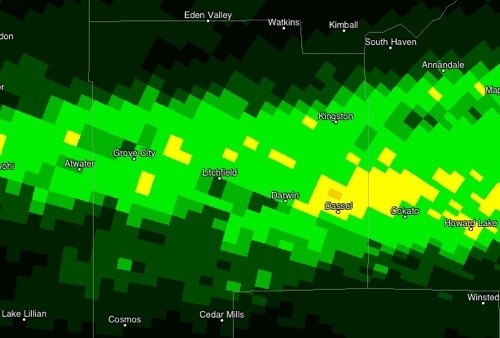 It looks like about 1 inch on the radar. 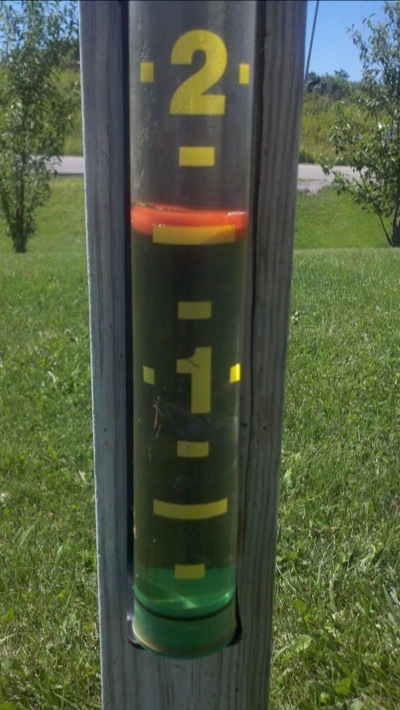 ps... a picture from my phone of the rain gauge once I got home Wednesday. A little over 1.5" in there.